This is an unprecedented study in terms of size and scope. 27,000 patron responses from 58 organizations across the US and Canada. Dance, Music, Theater, and Presenter disciplines are represented. It demystifies generational relationships with digital and traditional media. Facebook is still king, with 80% of all under 35 year olds and 54% of those 65+ using it weekly or more. 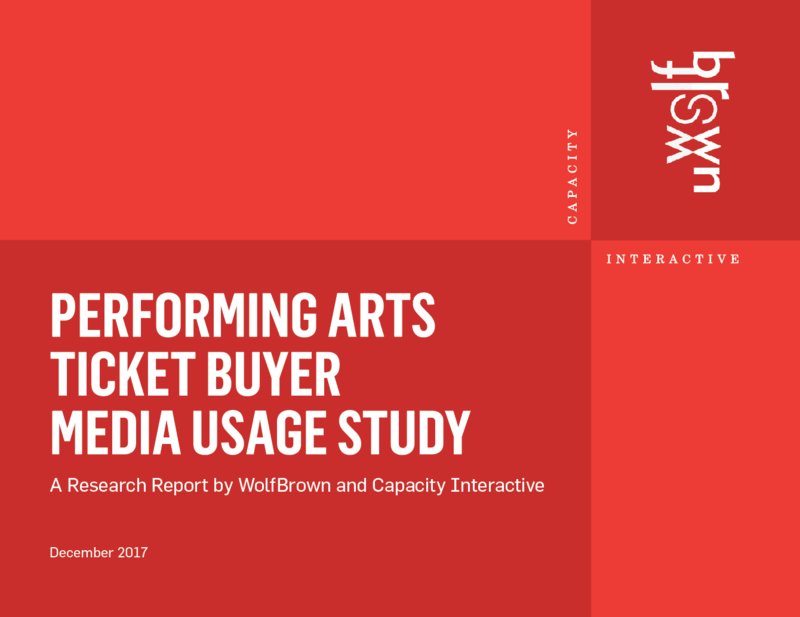 Shows it's a multi-device world for the arts, too. And, lets us in on where patrons what to buy tickets. 79% said they prefer to buy tickets online, rather than via phone, in person, or by mail.